When we purchased our house 7 years ago, the cherry colored cabinets through out the house were just OK to me. The cherry color wasn’t something I was crazy about, but I didn’t hate it either. However, through the years and with the addition of kids, the cabinets have taken a beating and the cherry color was getting “old”. I needed to makeover the cabinets in a bad way. So, I found a product and started with a test in one of the bathrooms. 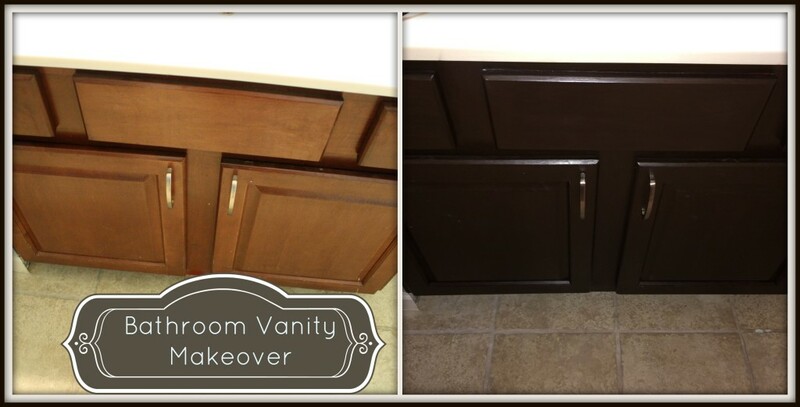 This is how the bathroom vanity makeover came about and turned out! I began exploring replacing the cabinets, but that was just expensive! I searched on painting them and was planning on doing that when I discovered a product at our local Home Depot. 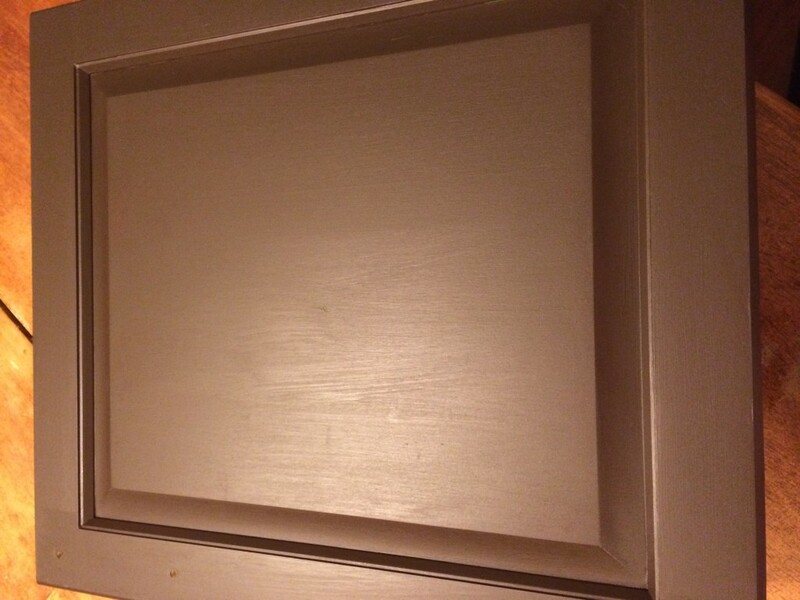 It is called Cabinet Transformations and is put out by Rust-oleum. 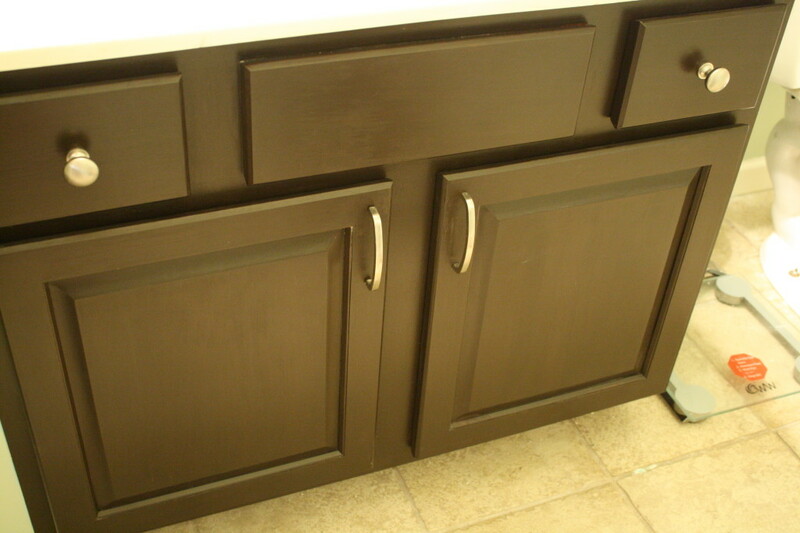 The premise is that you can re-finish the cabinets in easy steps and either make them darker or lighter. I decided I would give it a try and I wanted the cabinet to go to a darker color, so I picked “expresso”. I am testing this in the bathroom before doing it to my kitchen cabinets to make sure it will hold up to the kids and that I like the color. With this product, the first thing you do is to “wash” the cabinets with their special formula and a scouring pad. This was easy and didn’t take much time at all. I let it dry the required time and then moved on to putting on the base coat. I applied 2 coats of the base coat on the cabinet as well as the doors. After the base coat is dry, you can then apply the decorative glaze. I did this to see if I could get a deeper color. After the decorative glaze dries, you can then put the protective top coat on. I put on 2 coats of the protective top coat since this vanity is in the kids bathroom. Overall, I am very pleased with the how the cabinet turned out. So far, it is holding up very well! I am hoping to re-do all my kitchen cabinets the same way in the near future. I did learn a few things along the way with this product. Make sure you get the cleaning wash on every piece of the cabinet WELL. I noticed when I put on the base coat, some of it would rub off when I got to the glaze step. This happened especially in the crevices of the door panel where it indents. I concluded it was because the first step didn’t get in those crevices enough. This kept the base coat from adhering as it should have. Patience is necessary. You have to let all the different stages dry and staging this around the house to keep the doors and drawers from being touched, was a challenge! 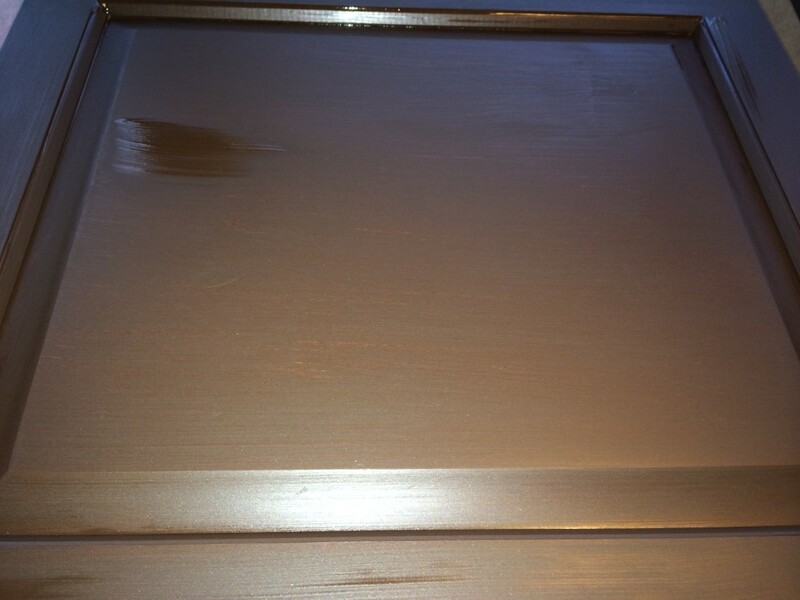 Also keep in mind, the cabinet will not look like it was “stained”. It will look more “painted” than anything. It’s a great alternative to making over cabinets when you are on a budget and you were leaning towards painting the cabinets. This kit makes the process so much easier to go through then if you purchased all the items separately. While I was making over the vanity, I decided to make over the entire bathroom. I painted the walls a nice soothing green and then added some additional storage in areas where it was needed. 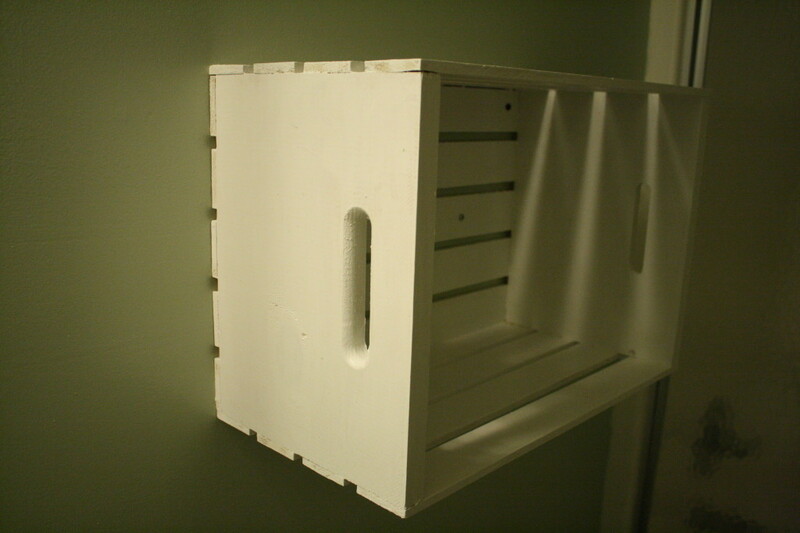 I took inexpensive wooden craft crates and painted them the same color as the trim in the room. I hung one above the toilet to hold extras and one in another part of the bathroom to hold towels. 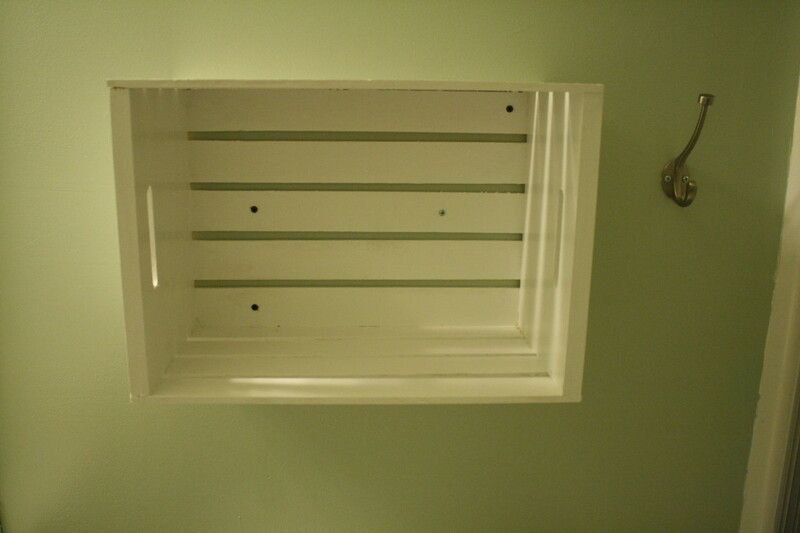 The crates were 7 dollars a piece and I already had the trim paint as I am changing the trim color in the entire house. This bathroom makeover was less than $150! You can’t beat that! Have you thought about re-doing your cabinets in the bathroom or kitchen? What method are you considering or have you done and how did it turn out? I was not compensated by Rust-oleum in any way – I discovered this product on my own and decided to use it and share my experience with others. You are a “Handy Lady”. The cost is great, and the work looks professional. Creative too. Great job!! I really like the darker color! I love this redo! It looks really good! I am always amazed at what paint and new hardware can accomplish, it looks great! I would love for you to share your project at my link party DIY:Done! at FlyingC-DIY.com. The party is open until Sunday, I hope to see you there! I love the crate that you’ve used on the wall. They can be used in so many ways. Wow! Looks like you did a great job and put a lot of work into this! Thanks for linking up to the Bloggers Brags Pinterest Party. I have pinned your post to the Bloggers Brags Pinterest Board! I recently made over my kitchen. I painted the walls in light green. The most difficult part was waiting paint to dry. I didn’t have patience at all. I hope you are better in this things than me. Best regards!